From Windows Store you can download various games, whether you want something easy to play, just for fun, or complex games for testing your hardware performances. 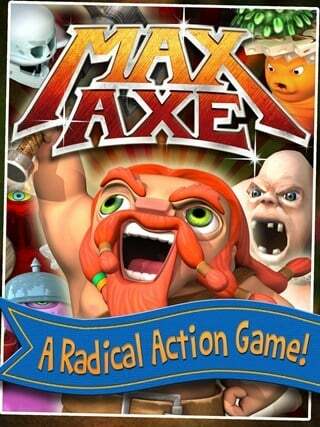 Well, if you looking for an addictive and extremely fun app, then you need to try Max Axe. As the name suggest, Max Axe is yet another game that tests your ability and patience while you will try to outbest your friends and your opponents. You will struggle to obtain high scores which can be then easily shared through various social media networks and within Max Axe community. This action game will guaranty fun ours spend on throwing axes and collecting treasures while advancing from one level to another – don’t worry, you have more than 100 worlds to discover. 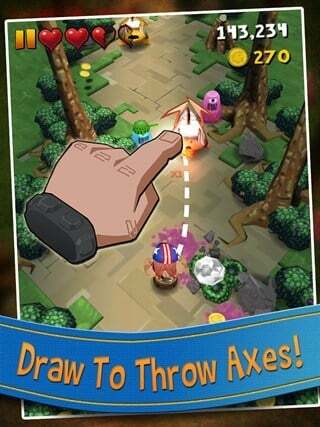 With Max Axe you will through crazy axe by simply swiping your finger on your Windows 8 based device. While the game can run on any dual core powered handset, the best will be to try it on a Windows 8 / Windows 8.1 or Windows RT tablet in order to get and enjoy the proper user experience. What you have to do? Well, basically you will be Max, a mighty Viking barbarian who is set for total destruction actions in a high speed adventure. Of course, there will be crazy combos, lot of fun and humorous situations from which you will have to escape by throwing your axes. While advancing through different worlds, you can unlock skills, buy new weapons and develop your own strategy in order to outrank your friends. This Windows 8 axe-throwing game can be anytime tested as Max Axe is available for free on Windows Store. Do note that you will have to own a dual core powered tablet in order to run this app, so first check your hardware performances.